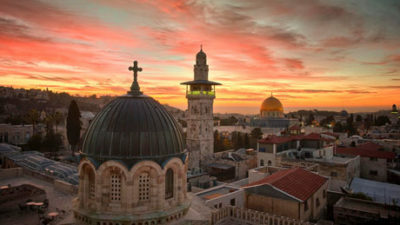 This course is an interfaith experience for Jews, Christians and Muslims in which they will encounter the land of prophets, monarchs, and holy people of the Abrahamic faiths. This program is given in partnership with ADAShA. 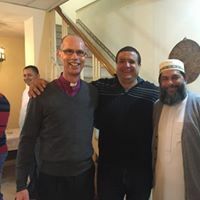 In Sharing Perspectives, Jews, Christians and Muslims live and journey together as an interfaith community at St. George’s College, Jerusalem. Over eight days the group encounters the land and its people in the past and present, exploring historical, geographical, religious and political complexities. 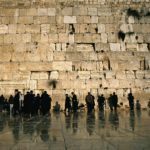 Interfaith pilgrims visit sites sacred to each tradition, welcome inquiry of one another, and explore how the Holy One is revealed uniquely in each of the Abrahamic faiths. Aided by local and international Christian, Muslim and Jewish leaders, along with skilled guides, course members will gain new insights into sister traditions, experience the intensity and hospitality of the land, and form friendships that will support greater interfaith understanding in their home communities. Those who enrol in this course should ideally have some interfaith experience in their local communities and be seeking to use their experience on the course to strengthen interfaith work in local and wider religious settings.